The mainstream media is aging and collapsing under the weight of its own hubris and arrogance. Now entirely formulaic in presentation and predictable in substance, the ‘major’ outlets of news, which aremonopolized under only a small handful of corporations, serve the purpose of misleading the public on important issues and manufacturing consent for government and the oligarchs. The public is still largely numb to this reality, and in a wicked catch-22 for modern man, many people are still addicted to the very media that serves as the primary weapon of social control against them. The tide is turning, however, and to help break the spell we bring you this comprehensive list of 11 tactics used against the public by the mainstream media to coerce consensus, divide, conquer, ridicule and stifle truthful or meaningful conversation about the state of our world. 1. 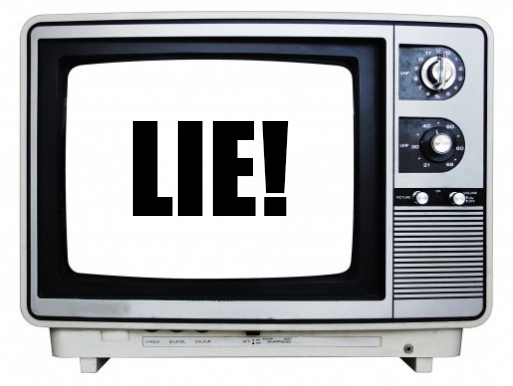 Lying by Omission – What is not on the nightly news? This is the most important question to ask when consuming mainstream media. The average hour long broadcast consists of 48 minutes or less of actual news programming, minus, of course, the chit-chatting, the expensive motion graphics and the bumpers, highlights and story recaps. With a formula like this, full of pomp and grandstanding, the impression given is that if does not make it on the nightly news, then it is not of significance. The most obvious way in which the mainstream media manufactures consent for policy makers and advertisers is by omitting from the news reel those stories and perspectives which may compromise the broadcasters agenda, whatever that may be. 2. Controlling the Debate – Who is arguing, and for what cause? News programs are businesses just like anything else, and as such news executives keep a go-to list of contacts to fulfill any necessary role in a program or segment. If the government needs credibility, they roll out an ex-president and remind you that he has ‘gravitas.’ If the military industrial complex needs a voice, then they roll out a familiar think-tanker to interject in a debate with a common-sense perspective in favor of national security. If something is too complicated for public consumption, then they open the rolodex to the ‘experts’ page and shuffle some know-it-all in front of the camera. The media is laden with groomed pundits, so-called opinion leaders, and commentators, and each one has a definite reputation, each one resonates with a specific target audience, and each one fills a predictable role in a conversation. Program guests are very well vetted, and news is a science, a very lucrative science that excels in giving the impression of a diversity in ideas while keeping the debate sequestered in a very well constructed box. The characters in this box make all the difference. 3. Selecting the Right Anchors, Casters and Presenters – Our lives have been pegged to the dollar, and as such, a ‘good job’ is valued above many genuine virtues. People like to keep their jobs, as do news anchors and news casters, and since news is, again, a business, the voices and faces on news programs are hired to perform a role, a job description, a task. They are not employed to pursue morally driven journalism for the benefit of society. If they perform as they are required, they advance and gain more exposure. If they rock the boat, there are a thousand other hungry job-seekers chomping at the bit to replace them and do exactly they are hired to do. News anchoring is a job like anything else, and those at the forefront are the best at playing the role. 4. Scripting and Synchronizing News – One of the creepier and more blatant efforts to homogenize thought and manufacture consent is to script the news at high level, then distribute these scripts to many different locales and anchors to read verbatim, while they feign authenticity. This is partially a result of the business decision to save money by employing as few actual news gatherers as possible, but is also a key part of the strategy to achieve conformity amongst people of different backgrounds and interests. The government has also been known to interject itself into the chain of command for selecting which news scripts are to be disseminated to the public. This is the most fundamental characteristic of propaganda, and is rather embarrassing to witness once you realize just how disingenuous your local news presenters are and just how easily duped most people are. 5. Politicizing Everything – Language is the greatest weapon of social control, and with mainstream media, powerfully debilitating language is pushed into every corner of our consciousness. Conservative vs. Liberal. Democrat vs. Republican. Right-winger vs. Left-winger. Good vs. Bad. Left vs. Right. Right vs. Wrong. White vs. Black. And so on. Ad nauseam. The truth is that ideas and opinions are as vastly different as grains of sand on a beach, yet the media intentionally frames every issue in terms of a phoney left-right paradigm that has been constructed to pigeon hole complex ideas and interests into a cheapened thought prison. No unorthodox idea or point of view can reach critical mass because everything is automatically framed in a ‘with us or against us’ mindset, turning people against each other for no reason other than to appeal to our desire to be on the winning team. The mainstream media is the chief party responsible for creating the constructs of ‘left’ and ‘right,’ which have been tightly integrated into our social consciousness as a means of achieving divisiveness and disagreement among the populace. This is the chief tactic of divide and conquer, and when people are compelled on any issue to ‘pick a team’ and fight the rivalry to it’s bitter end, many opportunities for true progress are lost and the populace is easily goaded into a position favorable to the elite. 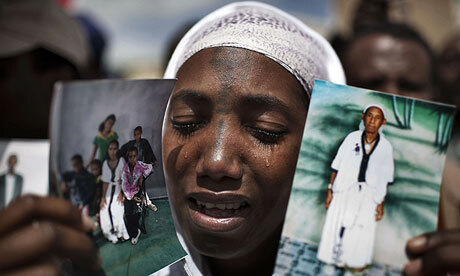 Israel‘s health ministry is investigating claims that Ethiopian women are being injected with a controversial contraceptive without their knowledge or consent.